After being in beta for just a couple of months, Adobe has released the retail version of Lightroom 4 for public consumption. The latest milestone of the photography workflow application sports many improvements, but most notably an improved price: $149.99 for the full version, $79.99 for the upgrade version. One explanation for the price drop may be that Adobe is feeling pressured by Apple's competing product, Aperture 3. The Mac App Store version of Aperture was slashed by 50 percent to just $79.99 in January. At $150 though, Adobe's offering will be more attractive to serious amateurs and those who wish to upgrade from Aperture to Lightroom. Some of the new features found in Lightroom 4.0 include a photo book creator (a la Aperture), location-based organization which leverages GPS data found in an increasing number of cameras these days, highlight and shadow recovery, soft proofing, improved video editing and RAW image processing. 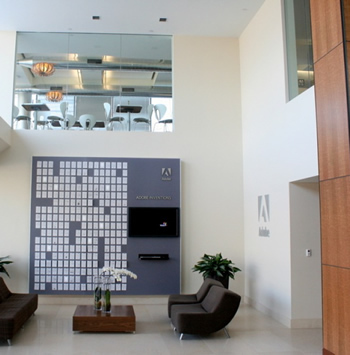 Adobe claims it has been focused on providing richer RAW support with Lightroom 4.0. Improved RAW handling should help give serious photographers the best possible dynamic ranges between highlights and shadows in their photos. While working with video footage, Lightroom 4.0 allows users to extract still images, crop and trim video footage and apply visual filters not unlike those included for photo processing. Although video editing has been improved, aspiring videographers will still want to export their video to an external, non-linear video editing application like Final Cut or Premiere. The Windows version requires a minimum of 2GB of RAM, a Pentium 4 or Athlon 64 and Windows Vista or higher. The Mac version requires 2GB of RAM, any 64-bit Intel CPU and Mac OS X 10.6.8 or newer.